Travelling is almost always guaranteed to be an unforgettable experience. With so much of the world to see and so many things to discover, it’s crucial to ensure you avoid any potential mishaps or unfortunate occurrences while you’re abroad. With travellers often making the same mistakes, here’s five of them to avoid during your travels. Today we received the sad news that one of my favorite platforms for bloggers, Track that Travel, announced that after one year of hosting their platform they decided to go into another direction. After winning their first contest a few months ago, it is sad to say goodbye (for now) to Track that Travel. I will be transferring the blogs I wrote on the platform to my own website, so that the stories shared there will stay online. Thank you Track that Travel for giving me a platform to grow my blog! The official announcement from Track that Travel was made today, declaring me winner of the ‘5 Ways Travel Changed My Life’ contest! 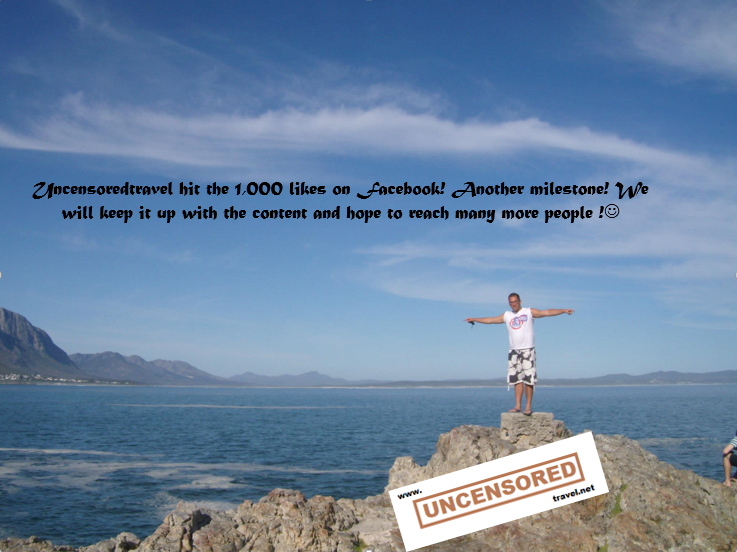 Some great exposure for Uncensoredtravel :-)! 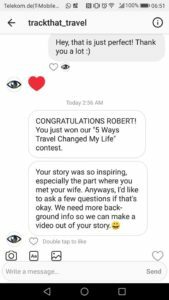 Winning $100 and get my story turned into a video, how cool is that? 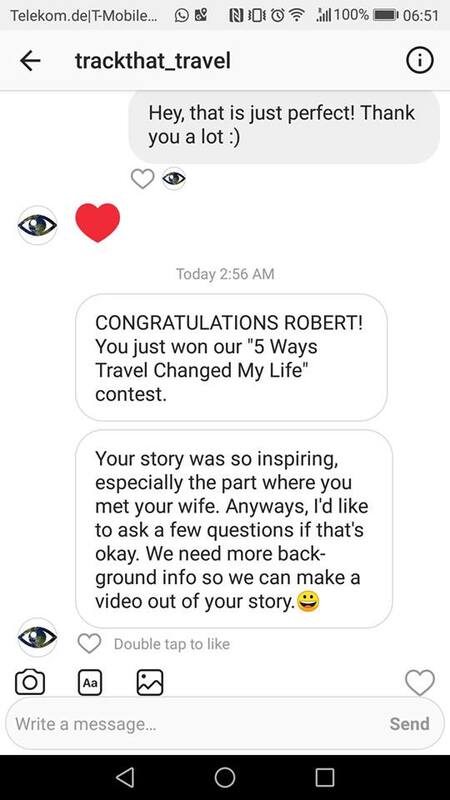 First contest victory for Uncensored Travel! Oh yes, we just won our first blogging contest!!!! Missed the article? Read it HERE! 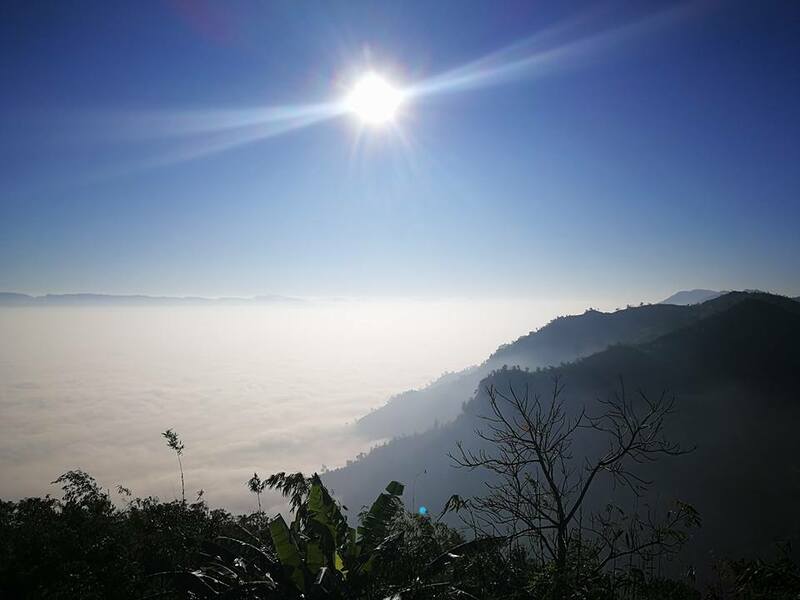 Our latest blog about 5 Ways that travelling helped me to become a better person just got published at Track that Travel! We believe that trip planning is the most important aspect of a trip plan, and it’s fun too. Going through various destinations, checking flight timings, reading train timetables and comparing car rental prices, searching for bargained hotel prices, deciding where to shop and eat; this all this seems very exciting, isn’t it? Now whether you are planning a business trip or a family holiday, you need to plan your itinerary in such a way that you have plenty of time to do everything you want, and not miss out on anything. TripIt: A great app that helps you combine all your travel bookings and confirmations at one place. It will send you timely reminder about the flight you are going take and what time will your car rental service arrive. The only drawback on this app is that it won’t suggest your various travel destinations, or help you search hotels. Guides by Lonely Planet: Now what this app does is that it will help you create your travel wishlist. Now this may include travel destinations like Paris Disneyland with the family, or going on a Solo trip to Bali; or travel experiences like bungee jumping off the Bloukrans Bridge. Again, as you can see, this app will not help you make the booking for that particular trip. TripCase is another such app that helps you arrange all your flight, train, hotel, car rental confirmation in one place. One more example in this list is the quintessential, TripAdvisor. TripAdvisor: TripAdvisor will help you plan your trip from start to the end, compare reviews and help you arrive at a right decision. The only drawback of this app is that it will not centralize your travel documentation. TripHobo: It is a unique trip planning tool that will let you choose your travel destination, make wishlists and compare hotels, while also letting you book tours and experiences. The two most striking features we found in this trip planning app are group planning and budget calculator. Group planning helps you invite your travel buddies to share ideas, chat and custom-create your travel itinerary, which is then made available on everyone’s dashboard for a ready reference; while the budget calculator gives you a unified budget by taking into consideration your flight, hotel, sightseeing costs, plus lets you add expected costs for food, shopping, tips, and other miscellaneous items. This itinerary planner will also suggest you readymade trip plans that have been created by millions of travellers from all around the world. 1,000 likes milestone on Facebook! Thank you all for the support, we will do our best to keep up the good content! In order to upload pictures used for the Uncensoredtravel world, we made a new Instagram account. The account will be used for travel pictures, so I do not have to spam my private circle with all my awesome pictures ;-). How to: Start your own website and blog TODAY! To start an own website and straight away earn back the costs sounds too good to be true? O no it is not! Read how Uncenoredtravel was established. How did you make a website from which you can earn? I signed up at the Writers.Academy community. They recruit starting bloggers and also provide free training to build your website using WordPress. Thanks to them, my whole website started at the first place! Signing up is easy, just go the this link and sign up! All you need is a Facebook account. You can directly sign up for a first blog about anything you like and make $ 40,- Australian Dollars! The payment goes through PayPal. What kind of training does the Academy offer? The training programs that Writers.Academy has to offer are enormous. From starting from scratch, SEO, using plug ins, implementing Social Media all in order to strengthen your website. What kind of jobs do they offer? A lot of different writing jobs. From tech till travel, they have different assignments through a various of partners. The more content you write, the more job offers you will get. So do not wait any longer, get started! If you need any help, feel free to comment or to contact me through Facebook.